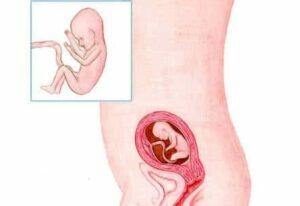 The outside of baby’s body is growing like a weed but inside everything is growing and developing at a rapid rate, too. In baby’s stomach and torso, many organs work already. The liver functions, as do the kidneys and gall bladder. The heart is pumping blood; it’s quite a job, as it pumps about 30 liters per day! Until recently, your baby only moved occasionally. That calm period is now over. Your baby is moving all the time. Baby also has plenty of room to do that, even if they are getting quite big. Your baby is now 5.12 inches and weighs 4.94 ounces. You may have been thinking about a name for your baby for a while, perhaps not at all. You still have weeks, but start giving it some thought. Discuss with your partner whether you want to know your baby’s gender. You can get a non-medical ultrasound from this week to find out. You could also wait until the 20-week ultrasound and ask the ultrasound technician. ‘Gain a child, lose a tooth’, is the old saying. Fortunately, we know that this is not necessarily the case. But there is a grain of truth in every saying, so also with this one. Because your body is under the influence of the hormone progesterone your gums become less firm, softer and more vulnerable. Your jaw also becomes more pliable. It means that you are more vulnerable to mouth infections, for instance. You can prevent most problems by giving additional time and attention to your oral hygiene. You have that extra time as you are no longer doing stomach exercises … well, if you did any to start with. From now on you should avoid doing any stomach exercises. You can of course still do sport. But be sensible and take care of your pregnant body.